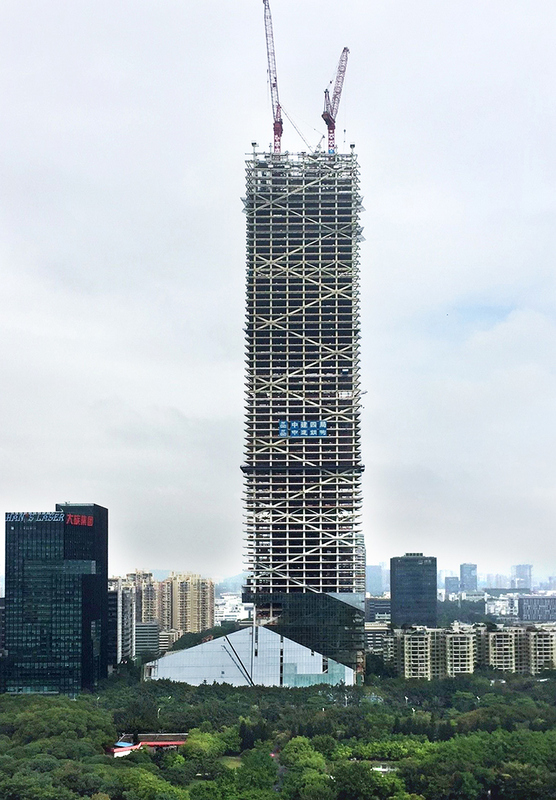 with the slab for the 62nd floor now in place, the major structure for shenzhen’s ‘hanking center tower’ has topped out. 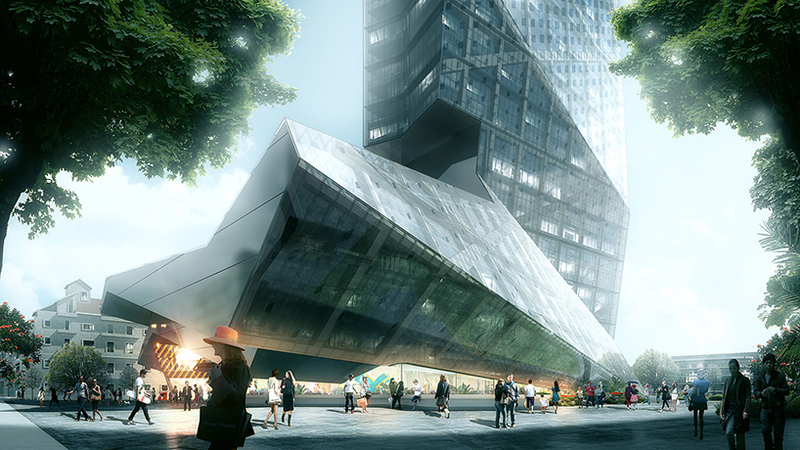 designed by morphosis architects, the skyscraper soars to a height of 1,150 feet (350 meters) and contains commercial office space above a base of high-end retail and dining. 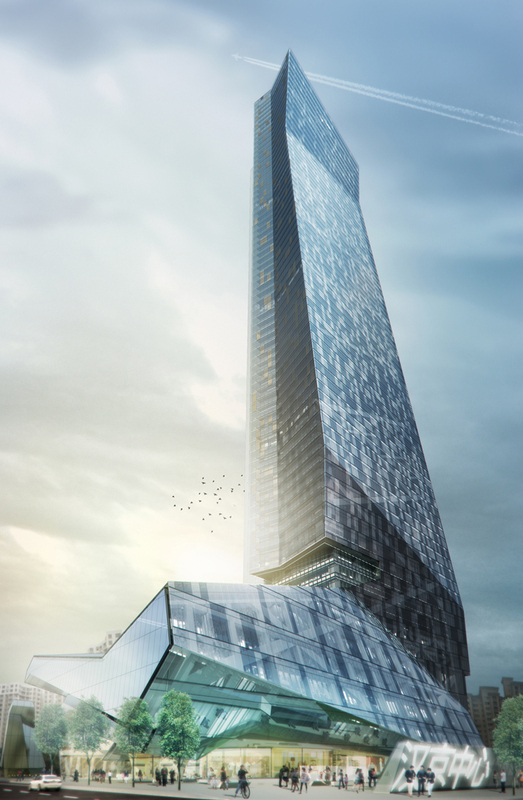 ‘as the new icon for the high-tech industrial sector, the hanking center tower is designed as an incubator for emerging technologies, providing for growing firms with evolving space requirements,’ explain the architects. 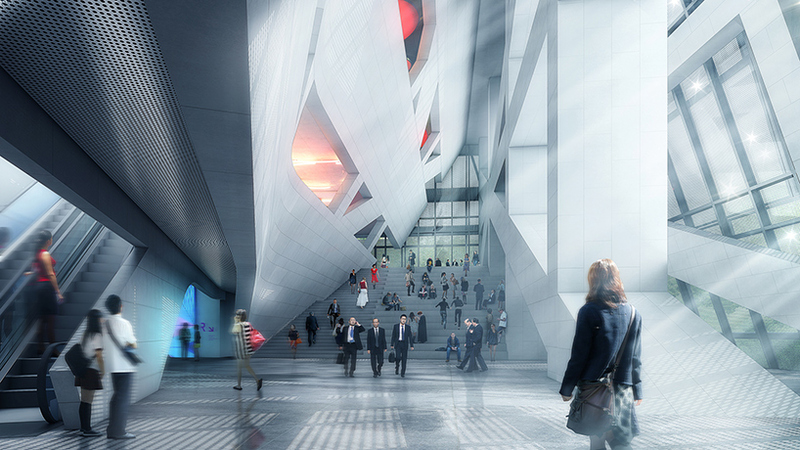 significantly, morphosis has positioned the high-rise’s primary core outside the main body of the tower. this ensures greater internal flexibility and allows light to penetrate deeper into the floorplate. 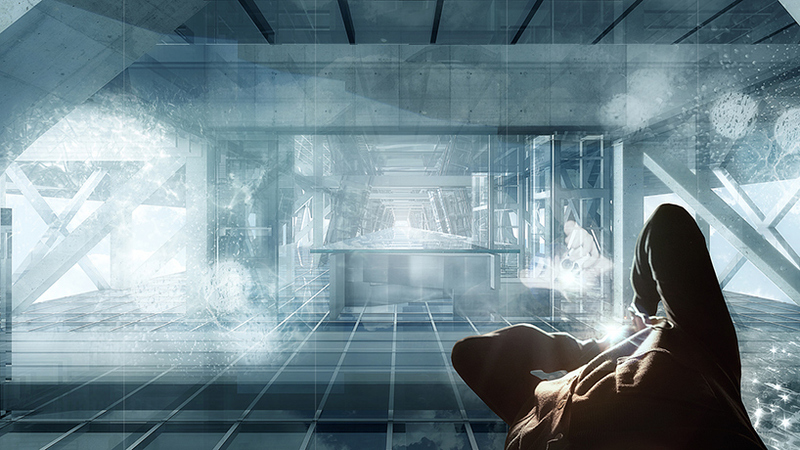 the core and main body are separated by a distance of 18 feet (9 meters) and are traversed by skybridges. every five floors, glazed lobbies and skygardens create communal hubs that can be used by all tenants. 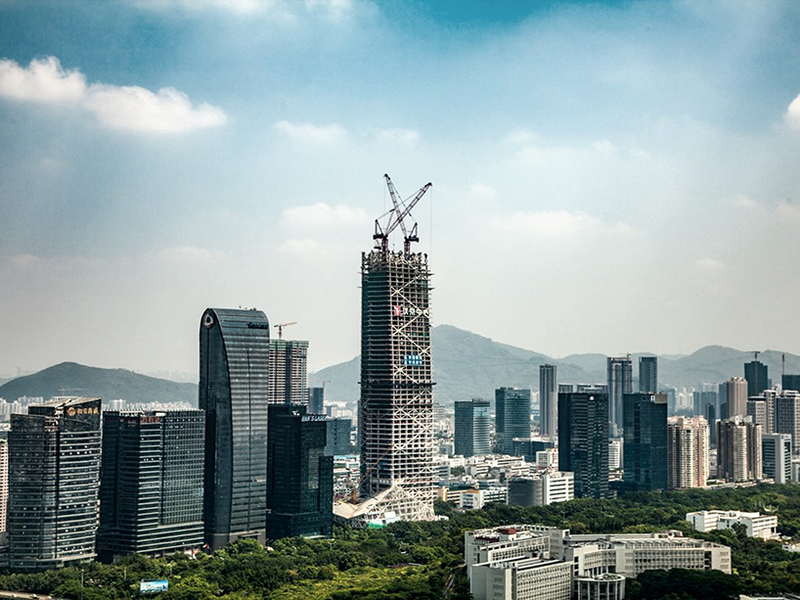 the slender profile of the tower occupies a prominent plot on shennan boulevard, redefining the region’s skyline. at ground level, a landscaped plaza forms a new neighborhood landmark that enhances street activity. 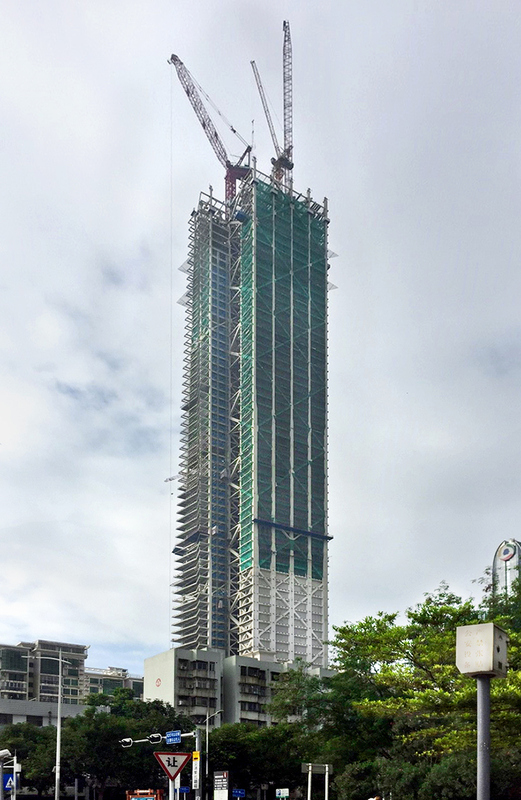 above, the podium — which contains the scheme’s public programming — features folded angles that allow the lower storeys to engage with the verticality of the tower above. 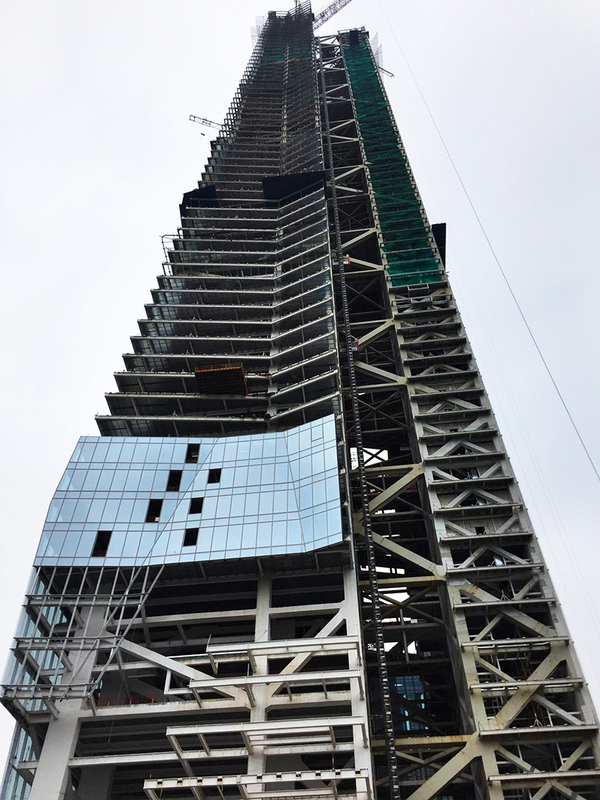 the tower itself is defined by its pioneering steel structural system, which offsets the primary movement and service cores to the exterior of the floorplate. this minimizes the building’s structural footprint, while maximizing open space. 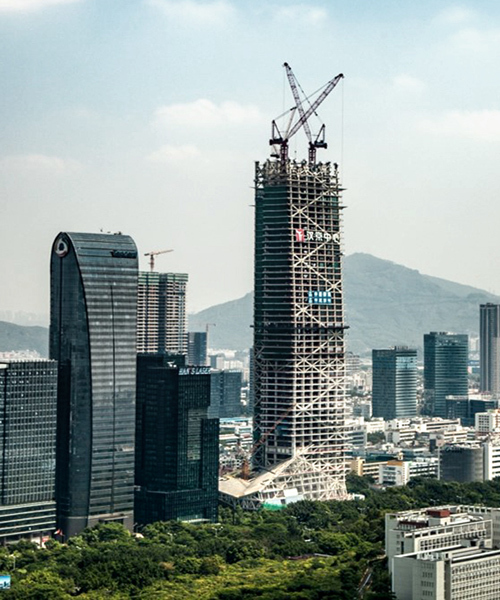 meanwhile, two secondary cores provide structural reinforcement and house private elevators for VIP users, as well as freight elevators and mechanical services. 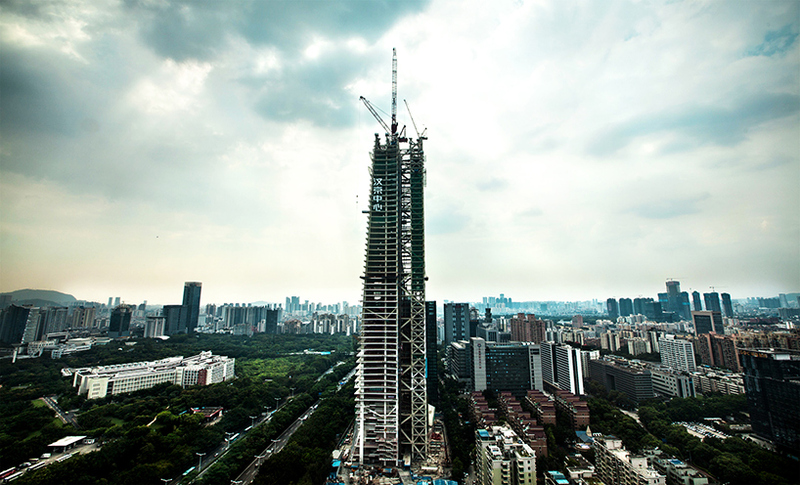 when complete in 2018, the tower will be the tallest steel building in china, and the tallest detached core building in the world. 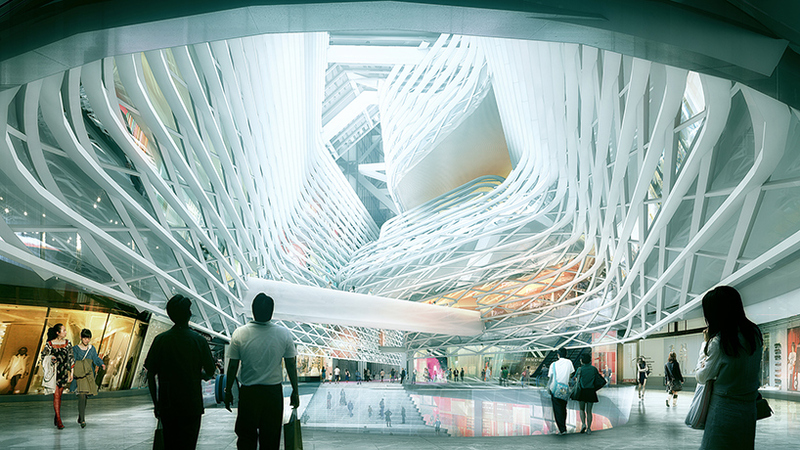 structural concepts: john a. martin & associates, inc.